Social networks have completely revolutionized the way we conduct business is a global economy. Today it is essential for businesses have to integrate intelligent tools to discover new markets, improve customer experience, communicate, and gauge performance of their marketing activities. WhatsApp Messenger, now owned and operated by Facebook the social media giant, according to forecasts will have over 2 billion active users all over the world. Thanks to it various functionalities businesses have been quick to adapt to the messenger service for hands on communication, marketing and feedback. Today we take a close look at 5 interesting ways businesses are using WhatsApp for boosting sales, marketing, communicating with their customers, requesting feedback and more. There are several benefits of using WhatsApp as an effective business tool. From being simple to being widely used across the world, there are 5 essential benefits that most digital experts have pointed out. 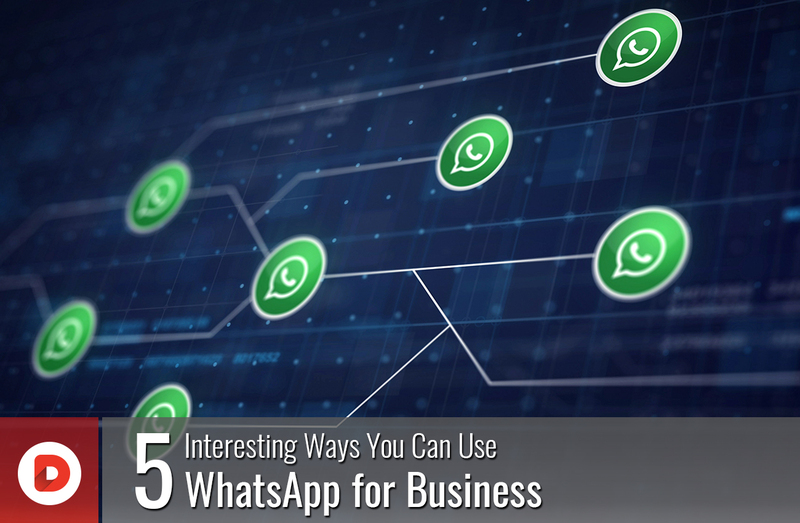 Let’s take a look at the five brilliant benefits of WhatsApp for business. Possibly the easiest to point out is the simplicity of the WhatsApp messenger. Install, enter your phone number and start messaging. Equipped with a simple and straightforward interface there is hardly any training required to understand its basic aesthetics. WhatsApp messenger is a very cost effective means of reaching your customers, employees, and partners without incurring huge costs. From a simple message to a video call, its free to use. One of the popular reasons to adopt it as an effective business communication tool is WhatsApps massive popularity. From Dubai to Delaware, a massive number of people use WhatsApp to communicate with friends, family, and business relations. 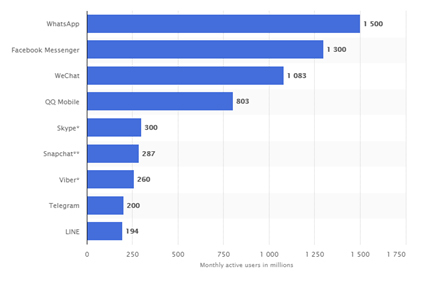 The messenger app will according to forecasts surpass the 2 billion user mark, with over 1.5 billion users already using it since the beginning of 2018. Every feature including text messaging, voice, and video calling is quick and straightforward with WhatsApp. You get notifications when messages have been received and all it requires is a stable internet connection. Possibly the favorite feature of any business user is WhatsApp’s end to end encryption. The highly secure text, video and voice messaging simply makes it the ideal tool to communicate with both customers and employees. WhatsApp can effectively help you drive more traffic to your website and content pages. Using the group feature allows you to create groups of active audiences with each group having a limit of 250+ members. By analyzing the categories of your blog and other pages, businesses & web agencies can easily determine how many groups to create and who to add to them. You can send out invitations to your audiences who have subscribed and shared their information. Visitors can then choose relevant topic groups and join your WhatsApp newsletter, video groups, blogs etc. Once you start sharing content to the groups you will notice a significant increase in shares and traffic on your website. 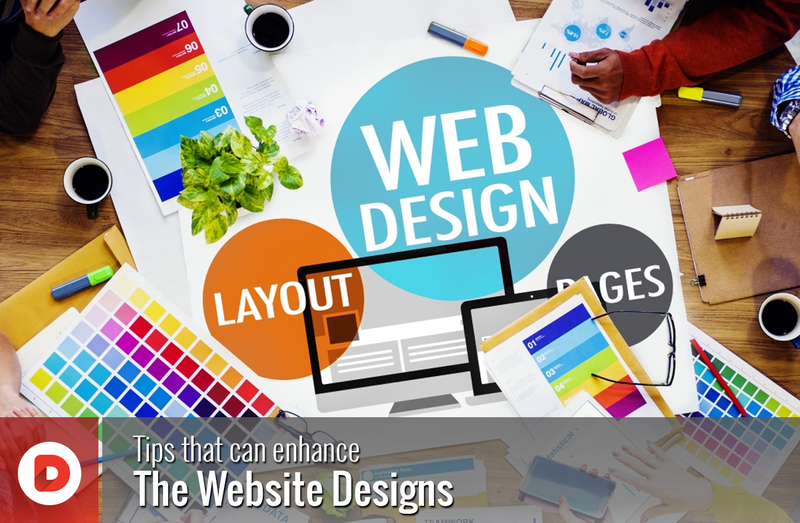 Always remember that your mobile website should have an optimized web design for customers to easily access pages. Adding a WhatsApp button on your website content pages is also a great idea to get exposure to a larger audience. Your visitors will then be able to share media and blogs easily without having to leave the messenger. You will gain new visitors to the website and have more members willing to join your WhatsApp groups. According to ShareThis, WhatsApp shared links have mighty potential. According to their analytics mobile shares increased from less than 1% in 2015 to over 6% in 2017. Since social media has proven to be a massive source of referral traffic, a WhatsApp button can do wonders for your website traffic. Your WhatsApp group can also act as a perfect way to engage customers by getting valuable feedback about your content. You can improvise your marketing strategy and improve content based on this feedback from groups. You can conduct simple surveys to see which content audiences like more and what type of content is more popular among different groups. Real time customer service is a luxury for small and medium sized businesses. Some might not even be able to afford it, but using WhatsApp to your advantage can sort that out for free. Supported by video, voice, and media sharing, WhatsApp can be employed to instantly provide personalized customer service. Your customers will love the attention and lead to some great buyer experiences. 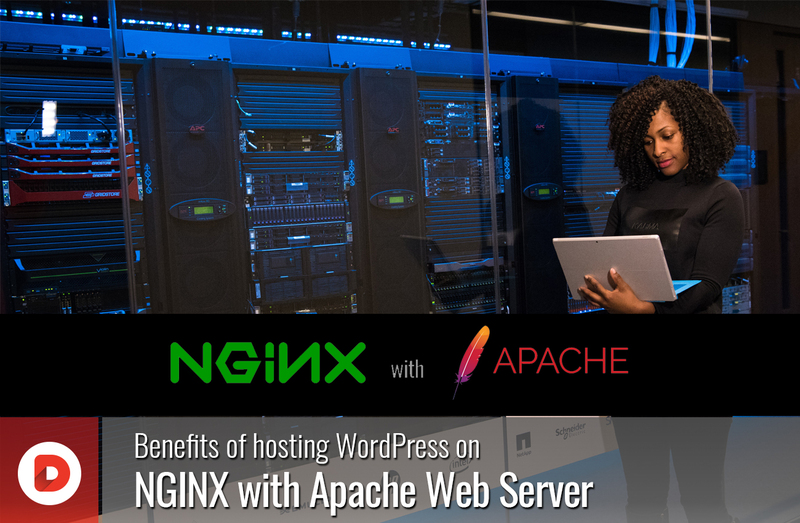 For instance, helping a customer setting up their new voice assistant or supporting your clients with web design and development in real time. In a highly competitive market like Dubai, where some businesses offer a variety of services it is essential to deliver fast customer support, otherwise someone else will. Businesses can create guides & How-To’s, and even deliver real time video support to customers depending on the issue. For instance, in case of a web design agency, you can easily share designs, send receipts, confirm orders, and manage cancellations through that messenger app without losing time. WhatsApp can be a bridge of active internal communication for small and medium sized businesses. Employees may even resist the implementation of new more complex business tools, but WhatsApp will stand out thanks to its simplicity and widespread usage. As it happens, your employees will already be glued to their WhatsApp messenger service communicating with friends and family. Business owners can create dedicated groups of different functional areas like finance, sal;es, customer support etc. to share documents, videos, and other important data instantly with relevant teams and personnel. WhatsApp provides you a free touch point for existing & potential customers. Creating an informative profile with precise & accurate location, contact, and ownership information will definitely improve the visibility of your business and brands. Potential clients can find you through a simple search and start interacting with your teams with a simple message. Providing a link to your website, physical address, description of your business, and email information will provide both great visibility and instill trust in your customers. SMEs in the Dubai and other parts of the UAE can effectively use this free tool to their advantage. For example, a web agency located abroad can interact with their clients and develop new ones by sharing their work and communicating with them in real time, for free. WhatsApp is a brilliant way of reaching out to your customers directly to promote new products and deliver personalized deals to them. There is no better way to deliver a personalized experience to your customers than sending them a discount, an offer, or demo for a new product addressed with their name. For instance, a pizza restaurant offering a special weekend deal, or a web agency opening a new office. Using the ‘Status’ feature is a clever way of delivering special messages and regular updates will have your customers always looking for new deals, discounts, and promotions. This is fast becoming a common tactic for supermarkets, restaurants, and even digital service providers. 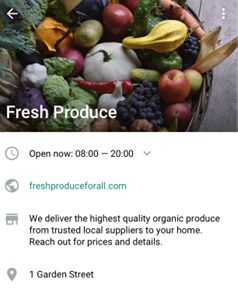 You can allow you customers to order through the WhatsApp messenger, and now with the introduction of the WhatsApp Business API (more on this below) it has become much easier for businesses to take order directly through the app. The latest breakthrough from Facebook, WhatsApp Business is a cutting edge API introduced for small and medium sized businesses available worldwide. 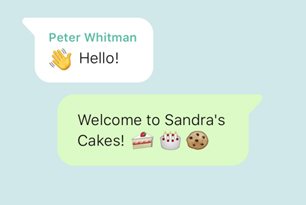 The app is exactly like the original WhatsApp Messenger, but with a few clever add-ons and is currently only available for Android devices. WhatsApp business lets you create a dedicated profile describing your business, providing timings, addresses, location, phone numbers etc. Small businesses can now let customers know when they are open and where they are located without having to invest in expensive apps or paying a web agency to do it for them. WhatsApp Business delivers the very intuitive quick replies feature, that allows SMEs to quickly respond to orders, answer questions, and deliver special offers with a tap. The WhatsApp Business API gives businesses the ability to track the performance of special offers and marketing messages sent out to customers. A dedicated app panel will offer all relevant statistics including how many messages were successfully sent, delivered, and read. A feature ideal for small businesses, you can set an automatic response during hours of unavailability. The app will deliver a greeting or an away message allowing customers to contact you during working hours. 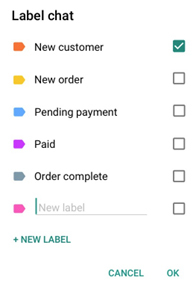 WhatsApp Business also allows you to label your chats, allowing you to easily remember the status of orders, conversations with suppliers, and status of payments with a tap. Whats App Messenger, now owned and operated by Facebook the social media giant, according to forecasts will have over 2 billion active users all over the world. 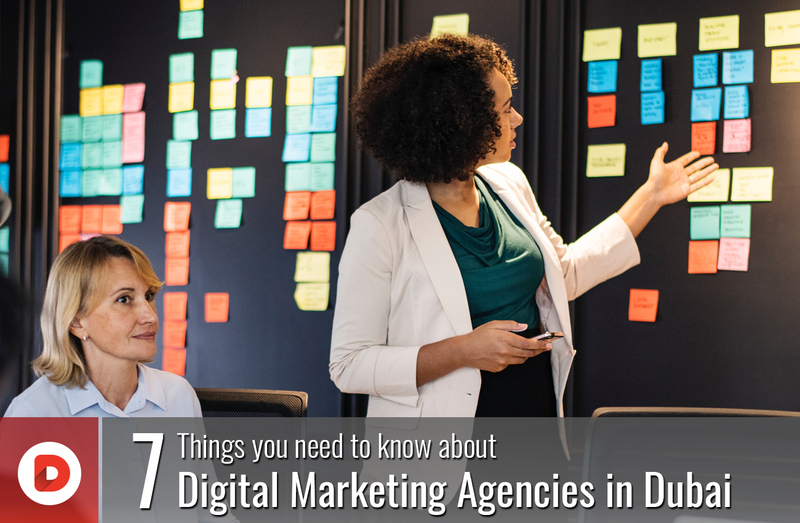 We are a digital agency has experience working with top notch clients. We provide web designs, web application, mobile application and all digital marketing services. We work with individual clients and also agencies.